I can’t help thinking it’s no coincidence that my laptop stopped working on February 29th: It’s the last “screw you” from a bad month. But in fairness, it’s also a first world problem. I still have a tablet, which is like a computer that hasn’t hit puberty. I also still have a Mac laptop, effectively my desktop computer because it’s allergic to batteries. As is often the case with modern society, we shouldn’t complain—but will anyway. 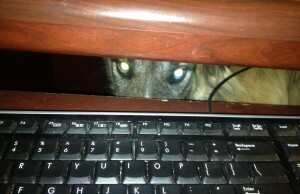 If your keyboard stops working, there are certain things you don’t want to look down and see. It’s technology gone mad, is what it is. I think we’re all young enough to remember the supposed Y2K supposed debacle – technology tried to go mad then but it didn’t. Yeah, a lot of people worked a lot of overtime behind the scenes to keep that from happening. But they can’t hold off the machines forever! If your computer goes kaputt on leap day, do you set the anniversary as February 28 or March 1? March … simply because I hate February. It looks like you’ve ferreted out the problem! Is complaining about computers PC? Well, why not? Everybody does it. I was just trying to play with the ambiguity of “PC”—clumsily. No, I got it! I was thinking along the lines of how it’s considered PC to complain about your PC. But wait until the machines take over: It won’t be considered okay to complain about computers at all, then.